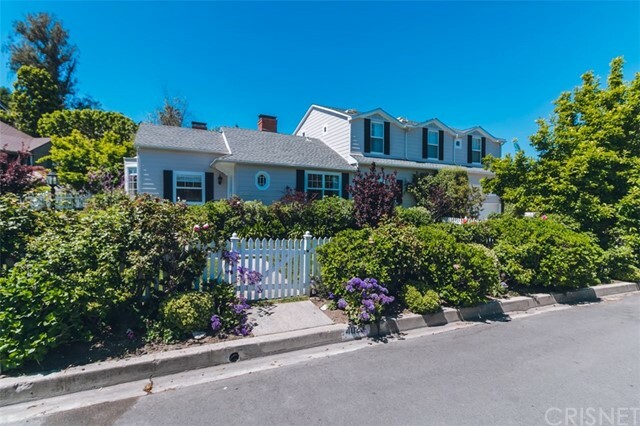 All Studio City homes currently listed for sale in Studio City as of 04/24/2019 are shown below. You can change the search criteria at any time by pressing the 'Change Search' button below. If you have any questions or you would like more information about any Studio City homes for sale or other Studio City real estate, please contact us and one of our knowledgeable Studio City REALTORS® would be pleased to assist you. 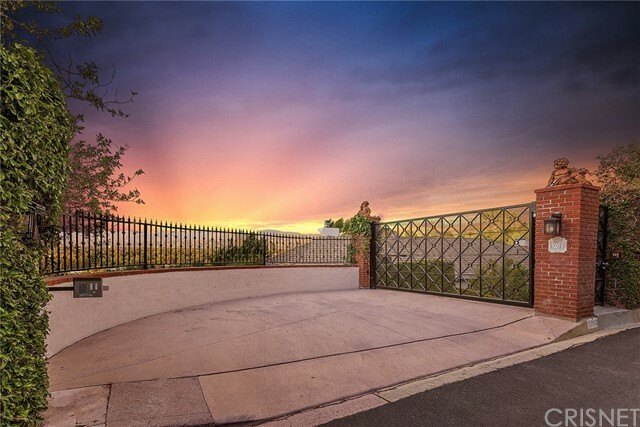 "Gated, very private estate delivers one of LA's most dramatic entertaining backdrops for sensational outdoor settings in exclusive Fryman Canyon. Situated on an acre+of perfectly manicured grounds, lush gardens and beautiful resort-sized Pool. All merge beautifully to create an escape that is at once exotic, elegant and entirely relaxing. Each room of the approx 8000SF home is masterfully decorated w/furnishings from the world's most renowned designers. The primary living area is lined w/glass w"
"The finest view property ever to be built in the prestigious Longridge Estates community. This contemporary, unrivaled home situated on a long private drive is an architectural masterpiece. The fluent floor plan offers unparalleled views unlike any other, with complete privacy to entertain at your heart's content. At 7,900 square feet, 5 bedrooms, and 6 bathrooms you will be able to unwind and call this rare offering home. This fully automated smart home features a glass wine cellar, home theatr"
"First time on the market in 35 years -- rare trophy estate in the heart of Fryman Estates. Private and elegant driveway leads to incredible park-like grounds featuring over-sized parking pad, three-car garage, two-story guest house, grassy yard, pool, and spa. Lot is surrounded by lush, green landscaping and mature trees. Main house is a traditional gem with rich floor plan and features rooms with outdoor access, giving the home exceptional indoor/outdoor flow. Home is complete with large kitche"
"Absolutely stunning new 2019 construction masterpiece. Situated in seclusion & privacy with sweeping city views lies a spectacular estate in Studio City which is one of a kind and unparalleled in every way. This five bedroom, six and a half bathroom smart home combines traditional and modern design with amenities for the demands of today's lifestyle. Soaring ceilings in every room, an open floor plan, bright natural light throughout, wall to wall pocket doors, beautiful hardwood floors, expansiv"
"Exquisite Tudor Revival Mansion Estate perched upon an almost 2 acre private mountain top overlooking Wilacre Park and the Santa Monica Mountain Reserve. At the end of an exclusive private road, behind custom wrought iron gates and up a long cobble stone drive, sits an unbelievably secure and secluded sanctuary incomparable to any other property in the area. This estate is truly one-of a kind, commanding mountain top views of the sparkling San Fernando Valley, San Gabriel Mountains, Sierra Pelon"
"Modernist masterpiece set high in the hills of Studio City. Architectural artistry brilliantly bridging the aesthetic divide between structure & nature. Clean, balanced lines & symmetrical proportions with sleek & chic interiors and only the finest quality of finishes. Massive glass walls reveal open volumes of space with panoramic vistas of city lights & mountains from every room. Ceilings soar. Elaborate baths are polished with marble, granite & exotic woods. The kitchen is an alluring stage f"
"Sprawling 1-story oasis located in Fryman Estates. 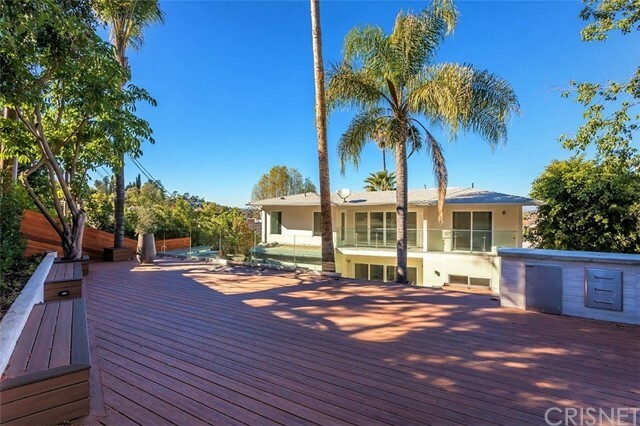 This mid-century gem sits on tranquil and exceptionally private lot. Living areas are tiered, and all offer views and easy access to the sprawling backyard, which features a flat grassy pad with an oversized pool, garden, and patios. The house boasts walls of glass, high ceilings, hardwood floors, massive great room, and original features throughout. Remodeled kitchen is complete with pristine white marble countertops and high-end appliances. Su"
"This stunning estate is situated down a long gated drive with more than an acre of lush grounds, pool & spectacular views. The home opens from a massive motor court, porte-cochere & collector 4-car garage. Inside, the recent renovation has resulted in the most sophisticated of interiors. The Poggenpohl kitchen & dining room is unparalleled with beautiful wood inlays, push button cabinet controls & Miele appliances. The living room has cross-trussed beams, fireplace, wet bar and an adjoining dini"
"Gorgeous European infused Architectural Home with sleek simplistic lines that blend elegance with uncomplicated comfort and stunning mountain and city views! Custom built in 2010, the extraordinary interior layout was designed to enjoy of the captivating vistas from every possible space. Natural light pours in from abundant glass doors and windows. Seamless access to massive terraces on each floor provide great entertaining options and true indoor/outdoor living. The spacious main terrace includ"
"Welcome on a stylistic journey of classic modernism in Studio Citys Silver Triangle. A continuum of reimagining, rejuvenating, & expansion have created easy, livable continuity with extraordinary contemporary design ideally placed on over half an acre of private, wooded opulence. Renovations have included the addition of a 2nd story, expanded patio, pergola for an al fresco milieu, refurbished pool & spa, fire pit, baths, kitchen, architectural windows & solar conversion. 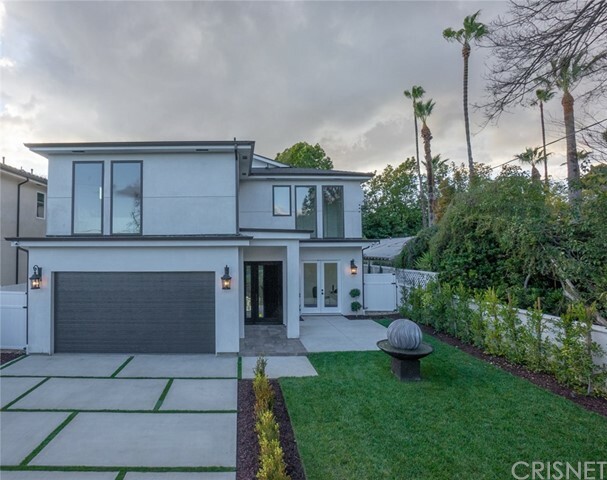 The welcoming exterior "
"With Weddington Golf Course just down the street this exquisite recent construction sits on one of most desirable neighborhood in Studio City. Luxurious features, abundance of a natural light, high end finishes. A formal living room showcases a marble fireplace, vaulted ceilings, and French doors. An elegant formal dining room boasts hardwood floors and paneled walls. A butler's pantry offers direct access to an incredible gourmet chef's kitchen with Calcutta Gold marble countertops, Thermador a"
"Come take a look! 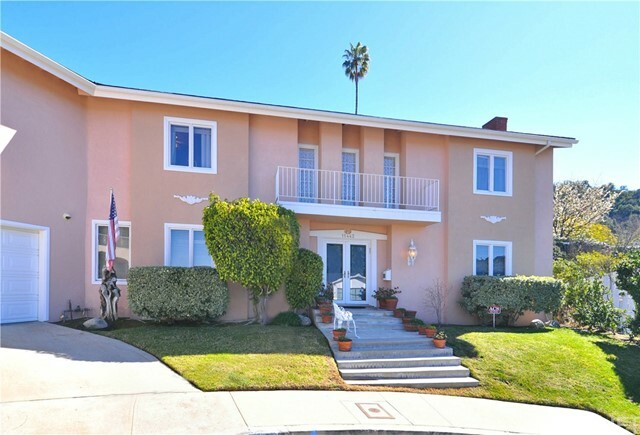 4800 sq ft of gorgeous open plan living minutes away from the heart of Studio city. 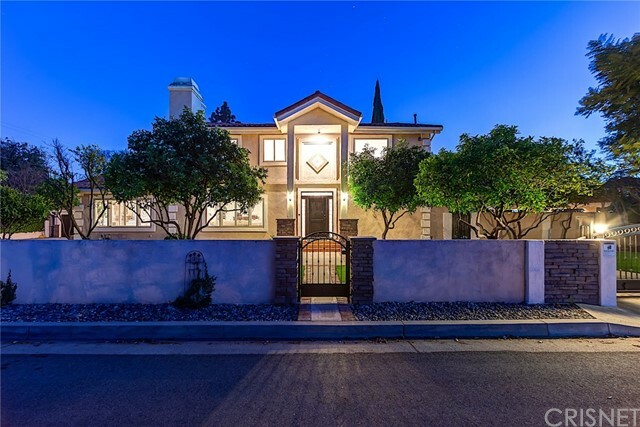 This 5 bedroom 6 bath gated home offers a temperature controlled wine display room with floor-to-ceiling glass walls, a theater room, and the hidden pocket door in the living area offers the true Californian indoor /outdoor living, leading you out to a large flat and very private back yard. Every attention to detail has been made in this spacious family home! Enjoy dining El fresco by the built "
"New Traditional Construction in the highly desirable Studio City area! This beautifully crafted home welcomes you with a private, long, and impressive ficus tree-lined, light-scaped extensive driveway. The spacious 4672 sf. SMART home was masterfully designed with high ceilings throughout, a foyer leading to an oversized great room with a showstopper wrought iron spiral staircase leading to your private quarters upstairs. 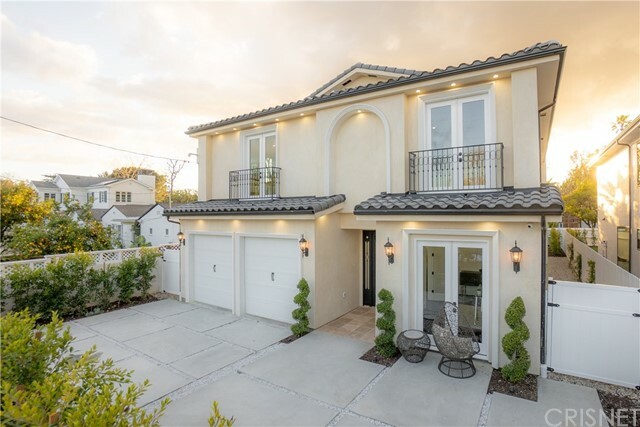 Large windows and a multi-slide door showcases SoCal indoor-outdoor living"
"This custom built private gated view home is located on one of the most desirable streets in prestigious Longridge Estates offering the ultimate in comfort, privacy, and security. The grand 2-story foyer opens to the elegant sweeping staircase welcoming you to this beautifully decorated home, with custom accents and exquisite designer touches throughout. Downstairs features a large formal living room, formal dining room, and a huge gourmet kitchen with center island, designer appliances, and wal"
"Smart Home for a new lifestyle. Start w/ the greenery that surrounds the residence, scenic backyard, a grandiose swimming pool to soak in the sun while having a BBQ party. Enter the fiberglass sliding doors, there is no dearth of light from all corners. W/ a touch of a button, close the windows shades for more privacy. The wide angled living room is proof that there is no absence of space w/ a mounted TV, fireplace & custom-built wall organizers providing respite after a hard day at work. The op"
"New Modern Construction in the highly desirable Studio City area! This beautifully crafted home welcomes you with a private, long, and impressive ficus tree-lined, light-scaped extensive driveway. The spacious 3977sq sf. SMART home was masterfully designed with high ceilings throughout, a foyer leading to an oversized great room with a showstopper wrought iron staircase leading to your private quarters upstairs. Large windows and a multi-slide door showcases SoCal indoor-outdoor living. The gour"
"Time for a second look at this amazing newly reduced estate on a double lot! Gorgeous blend of Modern & Traditional! Extensive new construction behind privacy walls with controlled access. Upgraded to exceed your expectations with soaring ceilings, wide plank floors, custom cabinetry & imported hardware throughout the open plan. Imagine welcoming guests to your airy & inviting living room & dining area with quartz & custom designed bar. The spacious chef's kitchen is appointed with Viking applia"
"Up a long, private drive this extensively remodeled Post and Beam Classic Mid Century Modern sparkles for the most discriminating clientele looking for a peaceful, hidden treasure surrounded by nature. A two year renovation is now complete with modern amenities, all new systems including roof, retaining walls, HVAC, etc. Walls of glass create the ultimate in LA indoor/outdoor lifestyle. The great room opens to the pool and outdoor entertainment areas surrounded by lushly landscaped grounds. Upgr"
"Beautiful traditional on sweeping large corner lot. Quiet South of the Boulevard street close to trendy Studio City restaurants and boutiques. The home features rich hardwood floors and was totally remodeled in 2001. One can appreciate the Architect's central focus when entering the bright, airy family room adjacent to open kitchen. This room has its own fireplace and leads through French doors to a deck conducive to entertaining, surrounded by a lush garden with ample sized swimming pool and Ja"
"$400,000 REDUCTION.Seller bought another home and wants this sold. Amazing 2 story tennis estate located on a quiet cul-de-sac. Great public schools. Two parcel numbers. Wonderful home with tennis court and basketball court, 5 bedrooms and a huge upstairs family room/ bonus room-perfect for use as a theater and even with a pool table (included). Updated kitchen with granite slabs and sub-zero refrigerator, 2 separate solar systems (pool and house). 2 air conditioners.Hardwood floors. Meticulousl"
"Crowning an expansive, quarter acre lot in the celebrated enclave of Colfax Meadows an exemplary lifestyle awaits. The stately, gated exterior is a refined fusion of stone & eco-friendly landscaping. Interiors features elements of fine artistic design with intelligent form & function ideal for the entertainer. Natural light pours in from glass walls & skylights. Floors espresso planked wood & tumbled travertine. Baths are dressed in fine lighting, fixtures & finishes. The kitchen opens to the fa"
"A spectacular reimagining brings contemporary luxury to the hills of Studio City in this masterful modern makeover. Situated on a serene cul-de-sac, this home opens to a spacious and naturally lit atmosphere with remarkable views from almost every room. Multiple patios, balconies and an enormous deck with firepit, spa, waterfall and designated BBQ area are complemented with complete privacy making this home an entertainer s absolute delight! The master suite boasts infinite natura"
"Henry C. Burge, AIA c.1951. Mid-Century Modern designer home fully restored with discerning attention paid to every detail. Offering the quintessential Southern California indoor-outdoor lifestyle, it features walls of glass, a classic kidney-shaped pool, and a flowing, open floor plan. Situated gracefully above the urban landscape, it delivers soaring views from every room of the San Fernando Valley to the west and Universal City to the east. 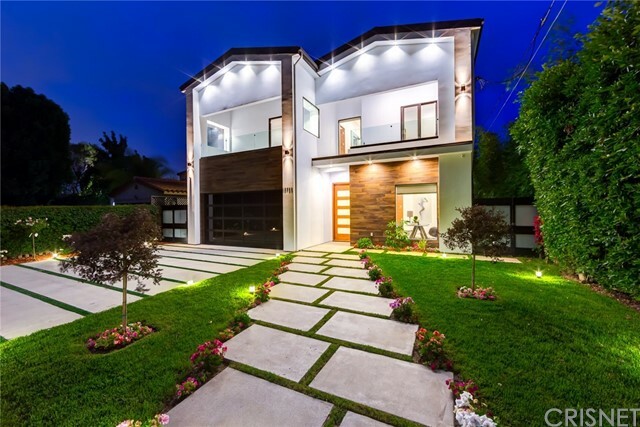 Located on a peaceful, secluded cul-de-sac in the Ea"
"Stunning contemporary property located on the perfect tree lined street one block south of Ventura Blvd in the heart of Studio City's Silver Triangle. Moments from popular restaurants, shops & Carpenter elementary. Built with the finest finishes, this home features a wide open floor plan, floating staircase, floor to ceiling glass, custom sound, LED lighting indoor & out, subterranean wine room and a Pebble Tec Pool/Cabana perfect for entertaining. Kitchen is bright w/ natural light, Cesar Stone"